Pioneer of the electric drive in ships, steam turbines, electric motors and countless other improvements in AC power. 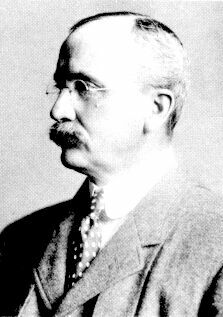 William LeRoy Emmet (1859-1941) consulting engineer of the General Electric Company, devoted years to the study of electric ship propulsion and was recognized as a pioneer in this line of work. As early as 1909 he pointed out that electric ship propulsion was feasible, economical,­ and practical. He also gained fame with his development of the steam turbine and the Emmet mercury vapor process of power generation. He held an impressive 122 patents during his lifetime. Mr. Emmet was born at Pelham, New York, July 10,1859. He was educated at schools in Canada and New York, and subsequently entered the United States Naval Academy in 1881. After graduation from Annapolis and a brief career as a naval officer, William Emmet left the Navy and became a $7 per week laborer on the night shift of the United States Illuminating Company. Applying a knowledge of electricity learned in college "to some problems that cropped up at the factory,” he gained the self-confidence that he had up to that point lacked. Mr. Emmet continued his association with electrical work in 1887 when he entered the employ of the Sprague Electric Railway and Motor Company. He later went with the Buffalo Railway Company as electrical engineer, and soon afterwards accepted a position with the Edison General Electric Company in the Chicago District. He came to Schenectady in 1892 when the Thomson-Houston-Company joined with the Edison General Electric Company to form the General Electric Company. Emmet helped design generators for the famous Niagara Falls hydropower project. This solidified respect for his expertise in the corporate world and allowed him to take on the steam turbine as the next project. Above: a railway electric motor from Thomson-Houston Company. 1880s. In 1901 he took up the study of the Curtis steam turbine. He began experimenting upon arrangements different from those which Mr. Curtis had tried and, in a very short time, developed a large and successful industry which far outstripped all other turbine activities in the electrical field. See our video where historian George Wise talks about Emmet's role in pioneering the steam turbine. The next large campaign to which Mr. Emmet devoted his energies was the develop­ment of electrical propulsion in ships. Through his efforts the electric drive for large warships was adopted by the Navy, the first of these being installed in the USS New Mexico. it was in the midst of his ship activities that Mr. Emmet began work on the develop­ment of a process embodying the vaporizing of mercury instead of water in turbines for the generation of power. The vaporized mercury, after driving one turbine, is condensed, and in cooling it water is converted into steam to drive a second turbine from the one firebox. The first plants of this type were installed at Hartford, Connecticut, Schenectady, New York, Kearney, New Jersey, Lynn and Pittsfield, Massachusetts. Prior to his achievements in the steam turbine field~ he attained prominence through his work in developing the general use of alternating current, and a number of inventions which since have come into universal use stand to his credit. 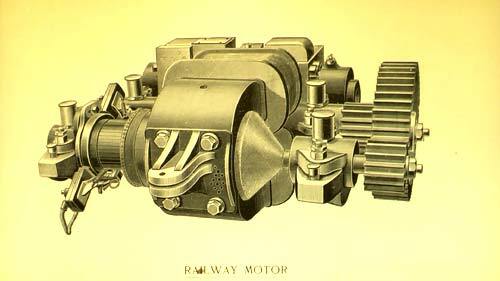 Among his more important electrical inventions are the oil switch and varnished cambric cable. He also invented several types of transformers, several different forms of insulation for alternators, and many devices that are employed in connection with the Curtis steam turbine. His most brilliant accomplishments, however, were more in the nature of an institutor of new methods and ideas than as an inventor, and a great deal of his most useful work could not be patented nor even classified as invention. His qualifications, specially fitted him for finding new scope for the talent and facilities of the Company's organization. Emmet was a pleasant natured bachelor who enjoyed hobbies like swimming, curling, skiing, fishing and astronomy. Mr. Emmet was the author of "The Autobiography of an Engineer", "Alternating Current Wiring and Distribution", and of numerous important papers presented before the American Institute of Electrical Engineers and other engineering societies. He was a member of the American Philosophical Society, American Institute of Electrical Engineers, American Society of Mechanical Engineers, Society of Naval Architects and Marine Engineers, and of the wartime Naval Consulting Board of the United States. He received the honorary degree of D.Sc. from Union College in 1910, and later the same degree from Trinity College. He was awarded the Gold Medal for vertical shaft turbines at the St. Louis Exposition, the Gold Medal for electric ship propulsion at the San Francisco Exposition, and the Elliott Cresson Medal in 1920. William Emmet died September 26, 1941, at the age of eighty-two.